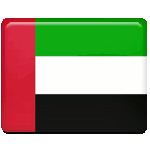 The first soldier to die for the United Arab Emirates was Salem Suhail bin Khamis. He was killed during the battle of the Greater Tunb that took place on November 30, 1971, shortly before the official formation of the UAE. Bin Khamis led a police force on the island of Greater Tunb that had been forcibly occupied by Iran. He was killed by the invaders after refusing to lower the flag of the emirate of Ras al-Khaimah. On August 19, 2015 the anniversary of Salem Suhail bin Khamis’s was officially declared Martyr’s Day. It is dedicated to the memory of soldiers who died for the independence of the UAE, fell during the First Gulf War and Operation Restoring Hope in Yemen, and others who have been killed in the line of duty. Commemoration Day is marked with memorial ceremonies held nationwide. Although its official date is November 30, the observance is moved to another day if it coincides with Mawlid (the birthday of prophet Muhammad) or some other major religious observance.